Rafi Younger, Lanterra Developments Ltd. The winners will be announced during the 43rd annual awards ceremony to be held on Monday, October 23rd at The Carlu from 5:30pm onwards. Tickets are currently on sale here. As an additional point of interest, Heritage Toronto has invited ERA‘s Andrew Pruss to assist them in delivering an exciting day of heritage building exploration through their Great Architectural Bus Tour, set to take place on September 9th from 10:00am – 3:00pm. The tour begins at 10-12 Market Street and will feature a selection of past Heritage Toronto Architectural Conservation and Craftsmanship Award recipients, including ERA projects: Don Jail, Imperial Plaza and the Distillery District. Tickets are currently on sale here. Kensington Market is one of the most culturally diverse neighbourhoods in Toronto, with a long history of fostering an organic, eclectic mix of sights, sounds and tastes within the context of a relatively low density, residential building stock. Situated within this thriving cultural hub, ERA is working with Kensington Market Lofts on a long-term multi-stage revitalization of the local condominium buildings. The current project involves the rehabilitation of the building’s prominent east facade where moisture infiltration has begun to threaten the existing steel structure through penetration of the Terracotta brick façade. The project team, in collaboration with the condo board determined that the installation of a wall-mounted public art piece would embody the rich textures and inclusivity of the neighbourhood, creating a ‘gateway’ to the cultural heritage landscape of the market while protecting the remediated underlying masonry. Prominent Toronto artist and building resident An Te Liu developed the colour pattern of the panels with the intent of depicting an aesthetic that reflects the neighbourhood’s historic diversity. 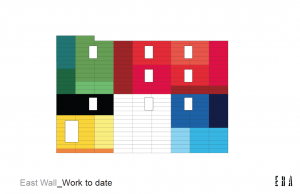 The distribution of the colours in the final pattern was drawn from an analysis of the percentage of colours present in the world’s national flags. The significance of the approach is that the material sits comfortably within its bohemian context. It was important to pursue a strategy that did not feel out of place with the vibrant coloured awnings and shops spilling out onto the street. The project has embodied its physical location, facing one of Toronto’s most important thoroughfares, to provide a landmark that will invite people into the market at one of its primary entrances. Detailed thinking about construction sequencing without displacing residents. 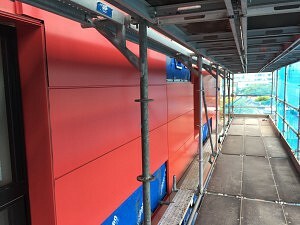 Instituting a best practice approach to recladding of existing assemblies that takes into account long term durability, fire protection, improved insulation, and continuity of vapour barriers. Showing how an initially functional imperative can be leveraged to provide a design approach with additional meaning for the residents and the community. To access the recent Globe and mail article on this project by David LeBlanc, click here. 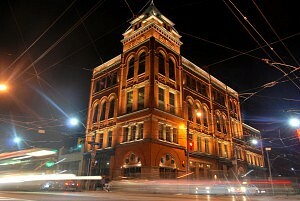 Since it first opened as Dingman’s Hall in 1891, the Broadview Hotel has been a landmark east of the downtown in the Riverside neighbourhood. Originally a venue for public meetings and commercial businesses, it first opened as a hotel in 1908. With the recent renewal, it has once again become a community hub for events and the hotel will host many new visitors to the area: we are pleased to announce that the building has its public opening on July 27, 2017. 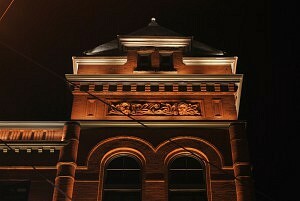 Although the original architect is unknown, the building’s architecture is in the same style as Toronto’s Old City Hall, with unique and ornate exterior terracotta panels depicting animals and allegorical figures. The twenty-one individually sculpted panels are probably the most distinctive features of the building, fabricated with the same quality materials and craftsmanship that defined the city’s 19th century construction. The repair of the historic building, and the contemporary glass addition achieve a balance that’s a welcome contribution to the evolution of this neighbourhood, and the newly created restaurants, hotel and rooftop bar and terrace reanimate this key corner site. It seems appropriate that the Broadview Hotel is at the intersection of two 24 hour streetcar lines. The project was led by Streetcar Developments with ERA Architects, Atkins+VanGroll Engineers and Design Agency. 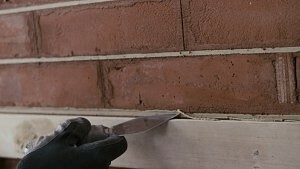 Pointing, repointing, tuck pointing, ribbon pointing, flush pointing, there are many techniques and they are all different. Tuck pointing is a style of jointing that was predominantly used on English brickwork from the late seventeen century and it continued in popular use through the early 20th century. Done properly, it is the most highly skilled of all pointing finishes and gives the illusion of finely pointed gauged brickwork on principal facades. It helped give the impression of quality to buildings constructed of damaged or irregular bricks. When laid in the normal manner of the day, such bricks produced walls with wide joints of irregular and uneven pattern which appear the sum of their constituent parts rather than as a coherent surface or plane. In the late 17th century the problem was avoided by using soft, rubbed bricks which could then be laid with thin, straight joints, however such work was costly. Tuck pointing was a less expensive alternative which seems to have been particularly popular for use on terraced housing up to the late 19th century. One of the most famous terraced houses in the British empire was tuck pointed: 10 Downing Street. While the technique is no longer in prominent use, knowledge of it is needed to repair those buildings which remain. 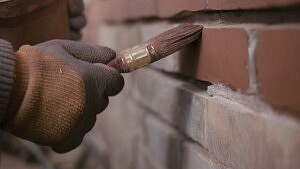 The effect is achieved by filling joints with a base mortar which has been coloured to match the surrounding brickwork. Where necessary, it covers the rounded or damaged brick edges in order to finish flush with the wall face. Over this is a narrow ribbon of fine, vernally white or cream coloured pointing material of well-sifted lime mixed with fine silica sand. This is skillfully applied or ‘tucked’ onto the regular grooved centres of the prepared joints and precisely trimmed to size. Walking through neighbourhoods such as Cabbagetown, lower Rosedale and Parkdale, you still see the remnants of original tuck pointing on old brick buildings. This was a prominent aesthetic element throughout the city. However, it can be difficult to determine whether an historic building had been tuck pointed originally, mainly because of the sand blasting practice in recent decades.The abrasion of the sand on the surface removes paint and staining, but also often erodes the surface of the brick, mortar, and adjacent materials, including the tuck pointing ribbon if present, effectively removing any evidence of the brick building being tuck pointed. Such a specimen can be seen at 62-64 Charles Street, where recent conservation work has restored the tuck pointed building to its former glory, under the expert hand of Hunt Heritage. This is the largest application of the process that ERA has been involved with and it’s an exemplar for bringing this lost craft back to the city. Property owners, entrepreneurs, community members, academics and city builders will gather at York University in celebration of Toronto’s newest zone: the Residential Apartment Commercial (RAC) (www.raczone.ca). 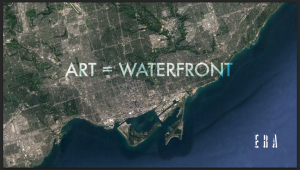 Moderated by Graeme Stewart, Principal of ERA and the Centre for Urban Growth and Renewal, this event hosted by the City of Toronto will centre discussions on the zone’s implementation as well as its economic and social opportunities. Where does the zone apply? What new things can be done there? Why is this a great idea? How does RAC zoning make it easier to implement sensible changes? Who can benefit from these changes? The RAC Zone was initiated through a long term collaboration between a group of partners including the Centre for Urban Growth and Renewal, United Way Toronto & York Region, Toronto Public Health and the tower Renewal Office at the City of Toronto. Approval of the RAC zone ushers in a new era for communities within Toronto to emerge as a more healthy, resilient and vibrant places. For more coverage on the RAC Zone, check out the CBC’s article “How a zoning bylaw could transform 500 apartment sites across the city”. 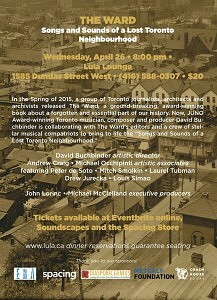 This June ERA’s Graeme Stewart showcased Toronto at the Urban Design London 15th Anniversary event. 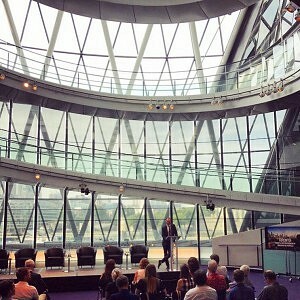 Hosted at London City Hall, the event brought together speakers from London, Paris, New York, Toronto and Auckland, outlining advances in city building, urban design thinking and public policy as these cities grapple with the opportunities and challenges of 21st Century urbanism. The event was moderated by Esther Kurland, UDL’s director. For more information about Urban Design London, visit urbandesignlondon.com. 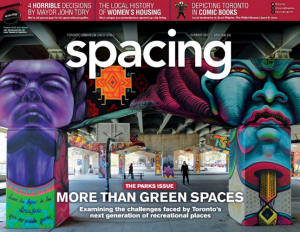 To read the article in its entirety, please pick up a copy of Spacing Magazine online or at your local newsstand outlet. Allan Gardens feature image courtesy of Brent Wagler. Workshop image curtesy of ERA Architects. Spacing cover image courtesy of spacing magazine. Is the practice of heritage conservation limited to conventional landmark structures, or, can it have a broader application in relation to social and economic sustainability across our built fabric? These emerging practice issues were raised by Michael McClelland during a symposium at the 2015 Association for Preservation Technology International (APT) Conference in Kansas City, and have been developed in an article authored with Alexis Cohen and Christine Paglialunga in the Journal of Architectural Conservation. The article explores emerging practice issues in heritage conservation through the comparison of two conservation projects in Toronto, both built in 1969: Mies van der Rohe’s Toronto Dominion (TD) Centre in the Financial District and a residential apartment tower by the Estonian-born Canadian architect, Uno Prii. It argues that by broadening both the cannon of heritage resources and approaches to conservation, heritage professionals have an opportunity to contribute solutions to global issues like climate change and social and economic inequality. If traditional distinctions between ‘highbrow’ and ‘low brow’ resources are revisited, a more expansive understanding of value can lead to better and more creative uses for our built heritage. ERA is able to offer a limited number of free downloads of this article. If interested, please click here to obtain a copy. 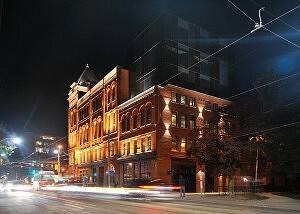 Photo of 100 Spadina Ave. courtesy of ERA Architects. 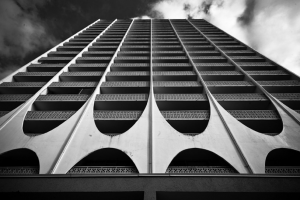 How do historic building practices contribute to a region’s cultural identity? What possibilities are created by the integration of new industrial, commercial, and institutional buildings into a townscape known for its heritage resources? 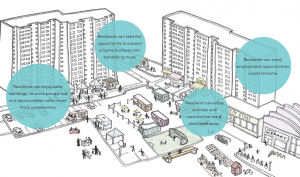 How could a community support or encourage good quality design of new buildings? These are a few of the design challenges that residents of Bonavista, Newfoundland have provided as a starting point for this year’s Culture of Outports project. 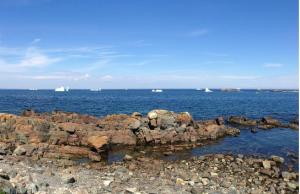 Culture of Outports will be bringing a group of Ryerson University architectural students to Bonavista in August to tackle these challenges and work to develop solutions over the course of one week. Their sketches, designs, and models will be displayed in the Wandering Pavilion, a project spearheaded by St. John’s architect Emily Campbell. The Pavilion is a temporary structure composed of a kit of parts, which “wanders” from neighbourhood to neighbourhood, changing its function depending on the context. In Bonavista, it will serve to showcase the work of the student team, as well as the work of several local artists. The Culture of Outports team is in Bonavista now, hosting our first community conversation and absorbing the beauty and unique cultural heritage of the town. As in all Culture of Outports projects, we will be working with the community to understand and express the unique quality of place which fosters and sustains a livable community. Cities internationally are exploring the challenges and opportunities of modern tower blocks and 21st century urban regeneration. Next week Graeme Stewart and Ya’el Santopinto of ERA Architects and the Centre for Urban Growth and Renewal will take part in a series of conversations focused on urban regeneration at Urban Design London (UDL) and Oxford University. UDL is a non profit organization that connects design practitioners and provides up to date information about policy, research, and best practice. 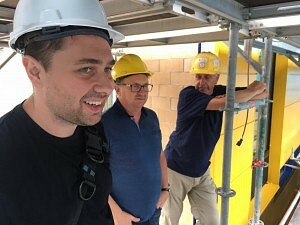 They will have an opportunity to present the vision of Tower Renewal across the Province of Ontario and learn about other approaches being taken in cities around the world. Discussions will include experts from multiple disciplines, and topics will range from estate regeneration to urban narratives as well as a reflection of the evolving approaches to public space over time. Stay tuned for the outcomes that arise from this exciting international discussion and see how Ontario’s tower renewal experience sits alongside others. Evergreen Canada has launched an online gallery entitled ‘Complete Communities‘ that showcases several projects within and surrounding the GTA that provide affordable homes, fresh food, clean water, local services, green spaces and great recreation to their residents. Accessibility is made available through walking, biking and public transit. The Ridgeway Community Court is one of these projects. Ridgeway has a reputation in the city as being a disadvantaged neighbourhood, but residents who live in the community know Ridgeway as a great place full caring people and strong values. The space it now occupies was once a parking lot before residents rallied together to fundraise for a multi-use sports facility. The court design, and now management, has been community-led. It was an excellent opportunity for the local youth, to enhance their skills, their drive, and their accomplishments. They worked very hard to achieve this dream, and they relish opportunities to showcase their community. The youth know that they can¹t change the past but they can change the future. Through the ‘Complete Communities’ initiative the youth of the community have a platform to tell the GTA what it really means to call Ridgeway home. 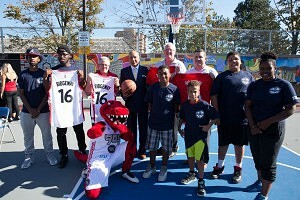 Other Ridgeway community partners include MLSE, the City of Mississauga, the Mississauga West Rotary Club, and the Canadian Tire Jumpstart program. 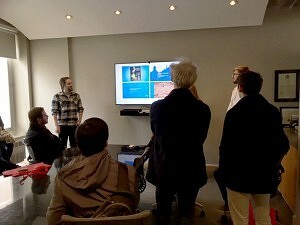 How does project planning, coordination and stakeholder engagement feed into the execution of a Lieutenant Governor Ontario Heritage Award winning architectural conservation project? 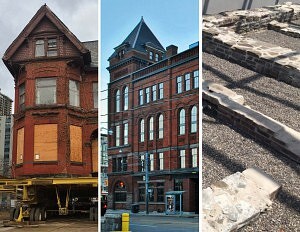 ERA Principal Andrew Pruss will discuss the successes and challenges of the restoration of The Broadview Hotel project in ‘Getting It Right: The Formula for Heritage Conservation’, one of several sessions at the Ontario Heritage Conference this weekend taking place in Ottawa. Ridgeway Community Courts has recently been recognized by the City of Mississauga as a project that is improving the quality of life for local residents. On May 24th, 2017 ERA Architects was presented with the Community Partnership Award as acknowledgement of the inspirational partnership between the municipality and firm. 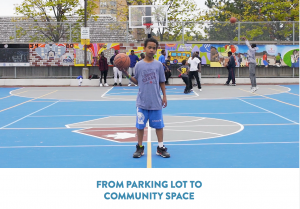 The project is the realization of a talented group of local youth, who transformed an under-utilized parking lot and sidewalk boulevard into a vibrant multi-sport court and community space for drop-in recreational programming. The youth-led management of court operations has created an opportunity for skills-building and leadership development. ERA led the collaborative design process, which worked closely with the community to bring this much-needed resource to the Ridgeway neighbourhood of northwest Mississauga, together with the major project partners, MLSE Foundation, The Rotary Club, Erin Mills Youth Centre and the City of Mississauga. A unique partnership was created, with the project driven by ground-up advocacy. The result was a public space that is truly reflective of the community’s vision. The award was designed by Mississauga-based artist/designer Alex Anagnostou. Court images courtesy of MLSE and ERA Architects. In 2013, students at Clinton Public School produced a book on Albert Jackson, the first African Canadian postal worker in Toronto. Jackson was born into slavery in Delaware and escaped to Canada via the Underground Railroad only to face racial discrimination in his new home. He ultimately became the city’s first black letter carrier and was one of the few people of colour to serve as a civil servant in 19th-century Canada. Following ERA’s collaboration on Welcome to Blackhurst Street as part of the Mirvish Village redevelopment, A Different Booklist approached ERA to help extend the life and reach of the students’ book on Jackson by supplementing the text and artwork with archival material. ERA ended up doing the graphic layout, too. Jackson’s story is the subject of increasing recognition. In 2012, a laneway in Harbord Village was named after Jackson who owned several properties in the neighbourhood and, in 2013, the Canadian Union of Postal Workers recognized his legacy with a commemorative poster. On July 21st, Heritage Toronto will unveil a plaque in his honour. Numerous community members and institutions generously offered information, photographs, and other support for the book. A Different Publisher and ERA would like to thank the Jackson Family, the Ontario Black History Society, Karolyn Smardz Frost, Patrick Crean, Janet Walters at Toronto’s First Post Office Museum, Chris Bateman at Heritage Toronto, Sandra Foster, Ron Fainfair, and LaShawn Murray. The Story of Albert Jackson was recently launched at Mayworks Festival, an annual event that promotes worker rights for decent wages, healthy working conditions, and quality of life through the support of diverse artists and their creations. ERA is proud to contribute to the dissemination of Jackson’s story through a growing network of community partnerships. 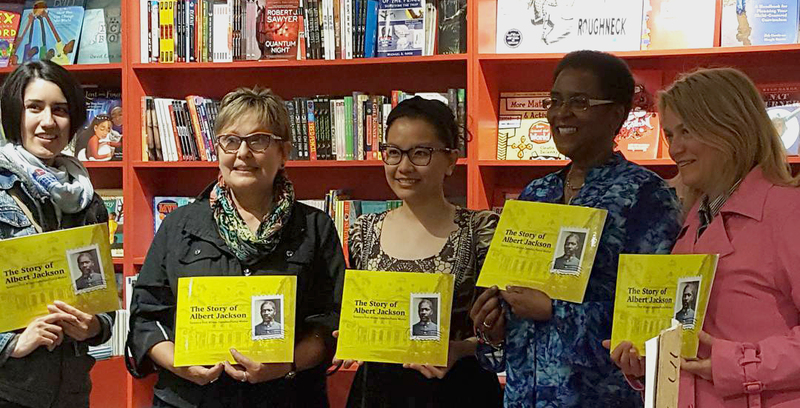 At the May 3rd book launch with Clinton Street Public School teachers Gini Dickie and Pamela Jamieson, A Different Publisher’s Managing Editor Liberty Hacala, and Itah Sadu of A Different Booklist. Event Photography courtesy of Itah Sadu, A Different Booklist. Book layout images courtesy of ERA Architects. Art, nature and public engagement intersect throughout the city in many ways and ERA is in the thick of discussions leading to interesting, inspirational projects. 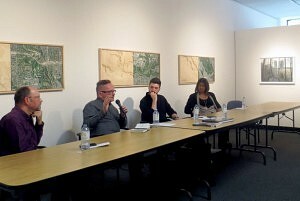 Last Saturday Michael McClelland participated in a panel featuring the local urbanite’s quest for green space and reprieve from sprawl, as depicted in the City of Toronto commissioned photographs by Robert Burley for the exhibition An Enduring Wilderness. These images celebrate Toronto’s urban wilderness as spaces of celebration and reward, entwined in a strategy for ‘maintaining and communicating their ecological and civic function’. The show was curated by Carla Garnet, is on until May 26th and open to the public at John B. Aird Gallery, 900 Bay Street as part of the Contact Photography Festival. 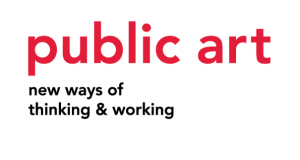 On Friday, May 19th Michael is sitting on a second panel as part of the public art: new ways of thinking & working symposium, at York University from May 18 – 20th. The discussion is entitled ‘Artists and City Building’, and will introduce ideas to assist artists in participating more fully in city building through a series of responses to questions touching on the nature of the word ‘public’, expectations related to such work and how to challenge contemporary art practices through commissioning processes. Recommendations will feed into OCAD University’s study on public art in Toronto. 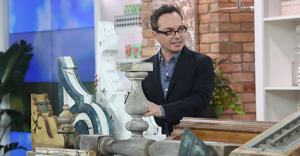 Scott Weir was invited to tour designer Tommy Smythe of The Marilyn Denis Show through some of ERA’s current conservation projects. The first project shown is the conservation of houses at 62-64 Charles St (project team: Andrew Pruss, Daniel Lewis and Julie Tyndorf) which is being undertaken in collaboration with aA, for Cresford Developments. Hunt Heritage is the heritage contractor. The second is the moving and repair of 76 Howard as part of the long-term heritage conservation of a neighbourhood bounded by Sherbourne, Howard, Parliament and Bloor (project team: Daniel Lewis, Jeff Hayes, Nicky Bruun-Meyer, Gill Haley and Scott Weir) with aA for Lanterra Developments. Hunt Heritage is the heritage contractor. Video of the building move by David Dworkind. The third project is the adaptive reuse and incorporation of a Jarvis Street mansion into Casey House (project team: Luke Denison, Mikael Sydor, Sanford Riley, Jessie Grebenc, Michael McClelland, Edwin Rowse and Scott Weir) for Casey House Toronto, with Hariri Pontarini Architects Clifford Masonry Ltd is the heritage contractor. Thanks to the Marillyn Dennis show, and Tommy Smythe and his team for profiling heritage work happening in the city! These projects will be featured in greater depth on the ERA portfolio page of the website in the weeks to come. 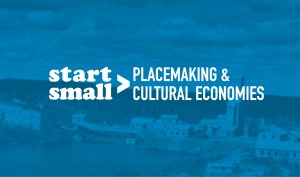 In collaboration with small, ERA is proud to present Start Small: Placemaking & Cultural Economies a talk with Halifax-area cultural economic drivers moderated by Philip Evans, Founder of small and Principal at ERA Architects. Join us for this free, public event taking place from 6-7pm, on May 24th at Arts Bar + Projects at 1873 Granville Street, Halifax. Across Canada, communities are shaped by their unique cultural landscapes. Small-scale, place-based businesses and organizations are essential to this culture, and to the evolution and adaptation of these communities. small is an organization that works to support this evolution by bringing together cultural economic drivers; ­those visionary entrepreneurs, organizers and agitators who leverage the unique place-based cultural assets in their communities to build social, cultural and economic strength. From Inuvik to Bonavista, we’re hosting a series of events to talk about their careers, challenges, and the tools needed to succeed. How do we tell the stories of our communities? What is the role of local cultural economies in these stories? How do we support these cultural economies? The arrival of spring heralds opportunities to get out and enjoy engaging discourse on topics near and dear to the hearts of heritage conservationists. As a result, ERA has been branching out and sharing our knowledge with audiences in Toronto and Ottawa over the past weekend, participating in two exciting initiatives. First up, the Toronto branch of the Architecture Conservancy of Ontario (ACO) presented ‘150+’ at the Ontario Science Centre on Saturday. A distinguished roster of speakers presented topics that centered on two architectural periods that helped shape today’s Canadian identity. The morning session focused on the Confederation Era, was moderated by Catherine Nasmith and featured: Michael McClelland, Madeleine McDowell, Sharon Vattay, Carolyn King. The afternoon session focused on the Centennial Era, was moderated by Alex Bozikovic and featured: Eberhard Zeidler, Michael McClelland, David Leonard and Marco Polo. For his part, Michael McClelland’s first presentation topic was on the exhibition ‘Found Toronto’, one of ERA’s first large-scale public displays. It was presented as part of the ‘Building On History’ exhibit at Harbourfront Centre in 2009. The second presentation, titled ‘Everyday Modern Architecture’ featured a portfolio of modernist buildings that inhabit Toronto’s various environs. He invited ideas on how we can apply heritage principles to buildings that are incorporated in to the historical fabric of the city. Secondly, Carleton University’s School of Indigenous and Canadian Studies hosted a Heritage Conservation Symposium entitled ‘Dynamic + Mitigating Landscapes: Re-visioning Heritage Conservation. ERA Associate, Lindsay Reid presented ‘Location, Location, (Re)location? Moving Heritage Resources in the Age of Ecological Bias’. She traced the history of building relocation and looked to provincial examples to better understand how attitudes and policies have changed over time, and what factors were taken into decisions to move buildings. All archival images sourced from the City of Toronto Archives. 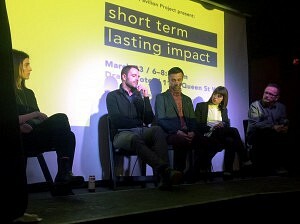 NXT City and Pavilion Project are teaming up to present ‘Short Term, Lasting Impact’, a panel discussion about the value of temporary projects at The Drake Hotel Underground. The event takes place on the evening of March 23rd, and features STACKT founder Matt Rubinoff, Layne Hinton + Rui Pimenta from in/future and Michael McClelland from ERA Architects + the Portlands Project. 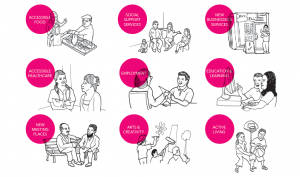 Be part of the conversation animating Toronto’s public spaces! 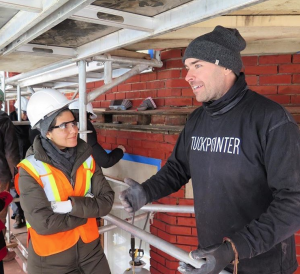 On March 15th 20 staff from ERA and members of the Architecture Conservancy of Ontario’s Next Gen group joined Antoni Pijaca, a heritage mason with over 30 years of award-winning tuckpointing experience for a workshop focusing on techniques and skills of the trade. English Tuckpointing is a brick-laying method used on homes, churches, schools and institutions. Materials required included lime mortar, lime putty, a straightedge, tuck irons and frenchman (ribbon knives). 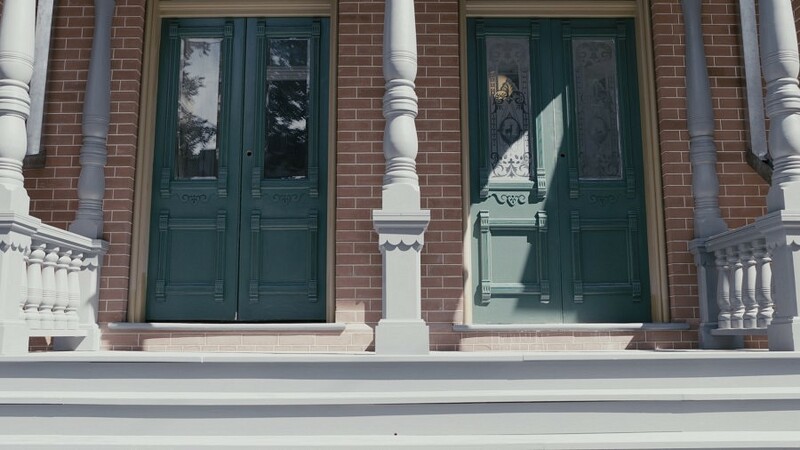 This technique was popular in Toronto’s late 1800’s architecture as a cosmetic solution that imitated the gauged brickwork found in England during the same period. It was an efficient and effective means of capturing the same appearance, but requiring less work and precision. 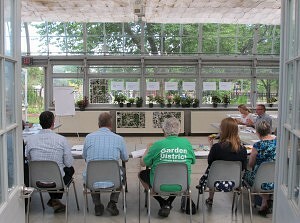 After the introduction, staff participated in a ‘hands on’ session, demonstrating their new found knowledge. ERA wishes to thank Hunt Heritage for providing this unique learning opportunity. 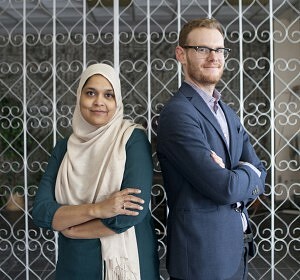 Graeme Stewart and Sabina Ali will introduce the case of Toronto’s built legacy: upwards of 2,000 modernist tower blocks that define its urban landscape. Hidden in plain sight on the political radar for decades, they have experienced an extended period of neglect, however a season of change has recently emerged. ‘Tower Renewal’ sprang forth as a resolution to engage policy-makers and members of the public through research, development and calls-to-action. It shone a light on the under-estimation of the importance of these towers as vast, vertical communities whose social and structural preservation are imperative in meeting the challenges of the city’s demand for greater density and enhanced quality of life amid dwindling resources. Toronto’s Tower block urbanism is ubiquitous, complex and contentious in nature for its physical and cultural landscape. Conservation solutions refuse to be pigeonholed, requiring a multifaceted and customized approach. The Tower Renewal initiative is nimble and dynamic in approach, successfully and sensitively addressing each project as separate and unique. 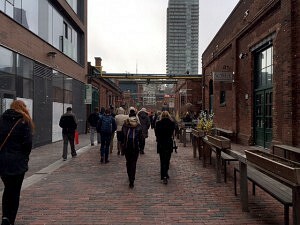 As host of the 2017 American Institute of Architecture Students (AIAS) Quad Conference, Ryerson University reached out to ERA Architects to host a tour of the firm’s offices and to conduct a tour of The Distillery District on March 10th & 11th respectively. Ryerson’s vision for the event was in inspiring and educating students on new perspectives of architecture introduced through diversity and globalization. For ERA’s part, a tour of the office functioned as a circuit between 4 separate environments on 2 floors of 10 St. Mary Street. Staff led 3 groups for 1½ hours through discussions on office environment features/layout, programming, team dynamics/disciplines, overarching themes, major/special projects, software/technology and the material library/plotter. The tour culminated in a small ½ hour reception and closing remarks by Michael McClelland. 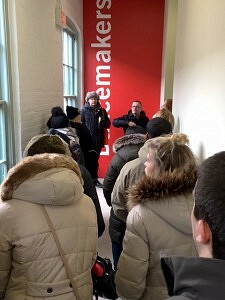 The following day, in frigid weather, the group toured the award-winning heritage conservation and adaptive re-use project: The Distillery District. The tour was led by ERA Principals Michael McClelland and Andrew Pruss and ran from 2:30 – 4:00pm. They focused on the following themes: Historic Architecture & Urban Form, Adaptive Reuse & Occupancy, and the Contemporary Layer of New Construction as applied to Trinity Street, the Windmill site, Stone Distillery, the Tank/Boiler House and the Young Centre for the Performing Arts. 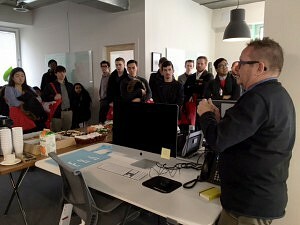 The two tours made a positive impression on the students, many of whom had never been to Toronto and hoped to extend their trip and/or return to the city in the future. Last Saturday, March 4th, as part of its third annual seminar, BEAT featured ERA Project Manager Amy Norris as part of a program of female architects, landscape architects, and interior designers based in Toronto. The panel spoke to students, recent graduates and young practitioners about their professional experiences working in and establishing design practices in Toronto in industries that presents both challenges and opportunities for women. 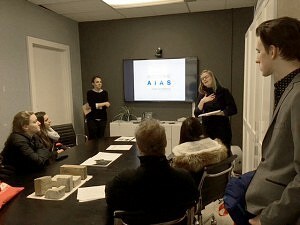 Amy also presented information about newly established groups within the OAA and RAIC that focus on issues of interest to emerging practitioners in the design industries. The panel was made up of sole practitioners, partners in design firms and academics. The event took place at The Gladstone Hotel’s North Ballroom. The event was scheduled as a prelude to International Women’s Day, which falls on March 8th. Given the findings of recent surveys that show a decrease in the percentage of women who study architecture versus those who are currently practicing, and the number of firm partners and principals who are women, the seminar’s mandate was: 1. To provide insight into the professional histories of leading female design practitioners, and 2. To promote mentorship of the current cohort of women transitioning into the profession through introductions and networking opportunities. Underlying these goals is the understanding that people need to see themselves reflected in the leadership of their chosen profession in order to garner a sense of acceptance and the possibility for success for their future careers. 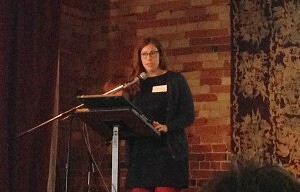 Amy Norris, Project Manager, ERA and member of the OAA Intern Committee and RAIC Emerging Practitioners Steering Committee. ERA will be ‘out of office’ on March 3rd, as we attend our first annual conference, offering a range of opportunities to congregate and mingle as a full office! 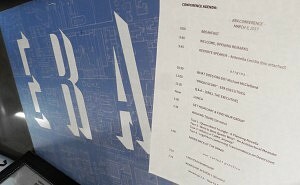 Follow the day’s proceedings – #eracon17. Tour 3: What is a ‘CAMH’ anyway?